According to Social Media Examiner, "in 2018, sponsored posts by influencers on Instagram were up 39% year over year. " I get asked all the time about this in social strategies and so long as you are clear about what you are doing and niched, influencer marketing is supposed to have great "Word of mouth" type benefits. I personally have not tried this but have seen a few clients have success with JV type relationships. But for those out there asking in the Build Business Results (BBR) Network here is an awesome overview on Social influencer marketing by Corinna Keefe , Social Media Examiner. We'd love to hear how influencer marketing is working for you or even, if you are just considering it or would like advice and opinions on who to target in the Build Business Results (BBR) Network. See you on the Action Field. Before you start looking for individual influencers, think about the channels you want to use. Take a comprehensive survey of the channels you already use to share content and find leads. Then go beyond that. Think about where your ideal customer hangs out online and find out what kind of media they consume. The picture could be very different from your existing content strategy. Be ready to explore new forms of media such as podcasts and live streaming. Also think beyond mere numbers. It’s not just about whom your customers follow, but whom they respect. Whom do they listen to? Whom do they consider an authority? 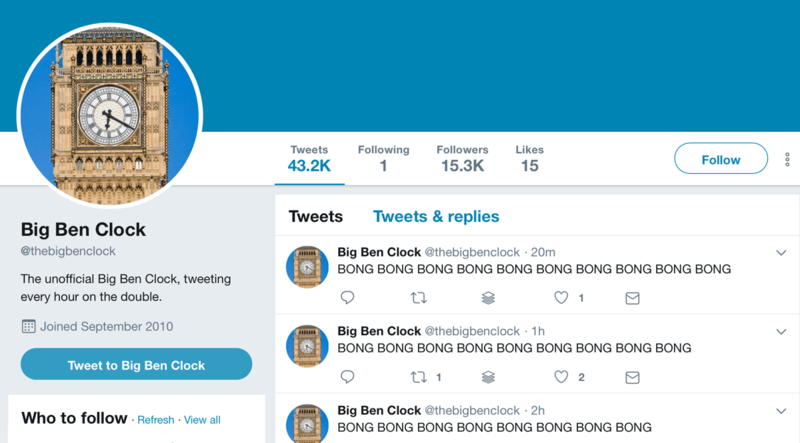 The novelty Twitter account Big Ben Clock has more than 15,000 followers, but do you really think those followers would take a product recommendation seriously? You can use influencer marketing to expand your existing reach or open up new platforms. My company doesn’t post much native content to YouTube, but we know that it’s an increasingly important source of interviews, tutorials, and case studies for marketers, especially in the Spanish-speaking world. 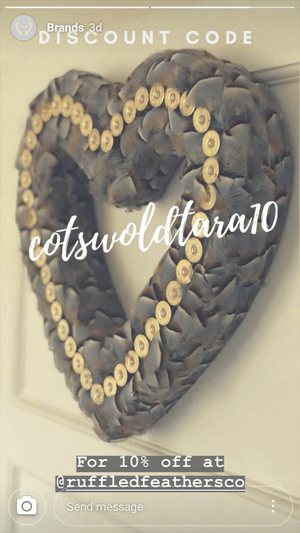 Our business spent time building a relationship with a YouTube influencer who runs a variety of educational channels. Our aim was to share useful info with an entertaining spin and we found the perfectly niched influencer. Before you dive right into a new medium, though, figure out how you’ll measure the results of your influencer campaigns. Some channels offer fantastic reach with highly specific audiences, but it’s difficult to evaluate ROI. For instance, Reddit offers a wealth of highly engaged and focused micro-communities, but engagement on the platform is notoriously hard to track. Once you’ve chosen your social channel, you can start researching prospective influencers. While most social media influencers maintain profiles across as many channels as they can, typically they’ll have a “home” network where their community is strongest. Some influencers also vary their content and style quite a bit across different platforms, so you might find someone who’s perfect on Pinterest but not worth investing in on Twitter. How you find potential partnerships depends on the goal of your campaign and your existing level of online reach. Here are some different approaches you might try. Using an agency or search tool will provide you with the most data about your candidates. 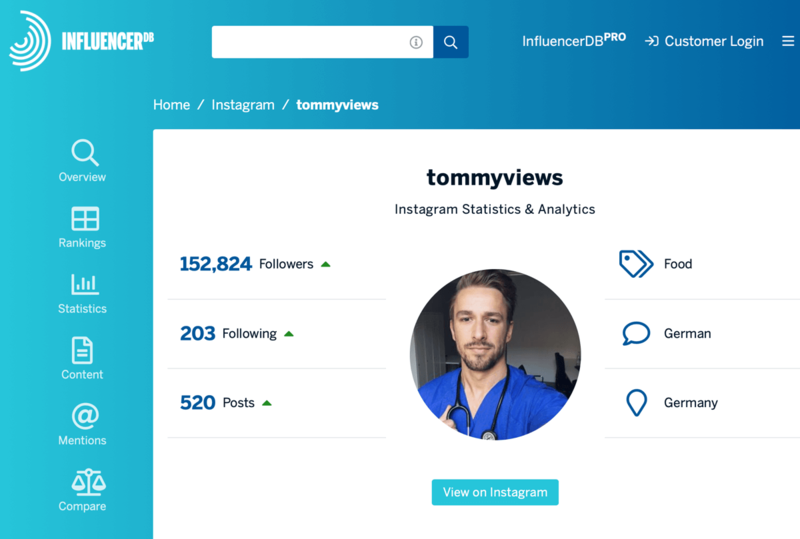 The Influencer Search Engine by InfluencerDB offers engagement statistics, comparative rankings, and an overview of the kind of content an influencer posts. Listings are organized by industry category, languages, and location. 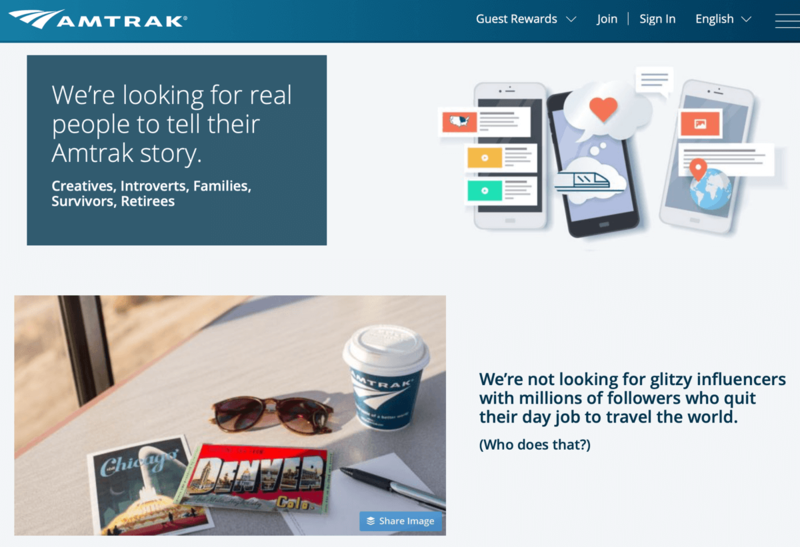 SocialBakers offers a similar service and both are free to access. Some social networks are beginning to provide this information directly. 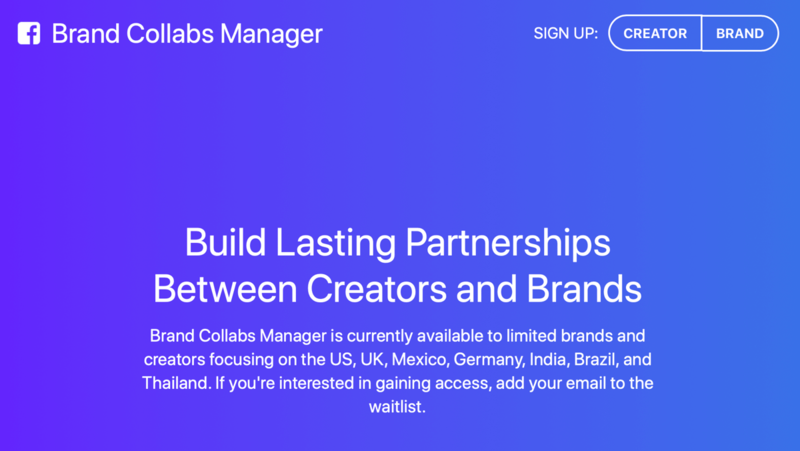 Facebook is currently beta-testing a Brand Collabs Manager tool. It’s limited to handpicked brands and influencers in the U.S., UK, Mexico, Thailand, Germany, India, and Brazil—countries where influencers are already an established part of the marketing ecosystem. Meanwhile, Twitter has switched to measuring what it calls “monetizable daily active users” (MDAUs) on the platform rather than just counting the number of active usernames. In the near future, we could see some drastically revised follower and engagement figures as this feature is applied more generally. If you do use an agency, try to verify their figures against direct information from social networks or at least get a second opinion. Apps such as Later (from $9/month) offer detailed Instagram analytics, including engagement rates, follower demographics, and click-through rates. Influencers who are signed with agencies or listed by search tools tend to have the largest followings. If you’re looking for a short-term product placement deal and have a budget to burn, they’re a good option. However, if you’re in search of micro-influencers, nano-influencers, a long-term relationship, or more affordable choices, agencies may not be the way to go. Another approach that’s gaining popularity is to create your own influencer. This could be someone from your customer base, someone with authority in your industry, or even someone from your own team. 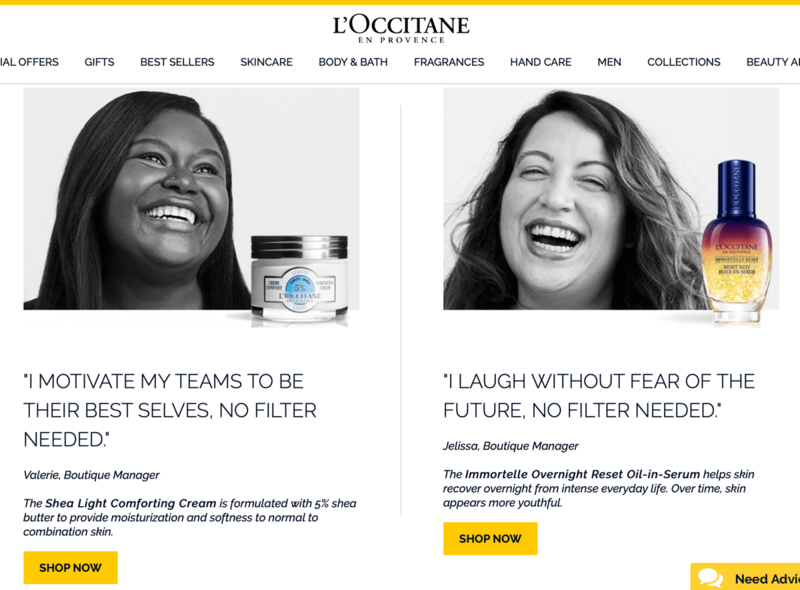 Beauty brand L’Occitane en Provence recently launched an influencer campaign based on 10 of their own employees, using the slogan No Filter Needed. Think of this tactic as bringing a buyer persona to life. Take the HelloFresh Guy. True to form, HelloFresh put together all of the ingredients: an Instagram account, a relatable star, and well-lit photos. Then they waited for customers to produce the final result: an influencer. 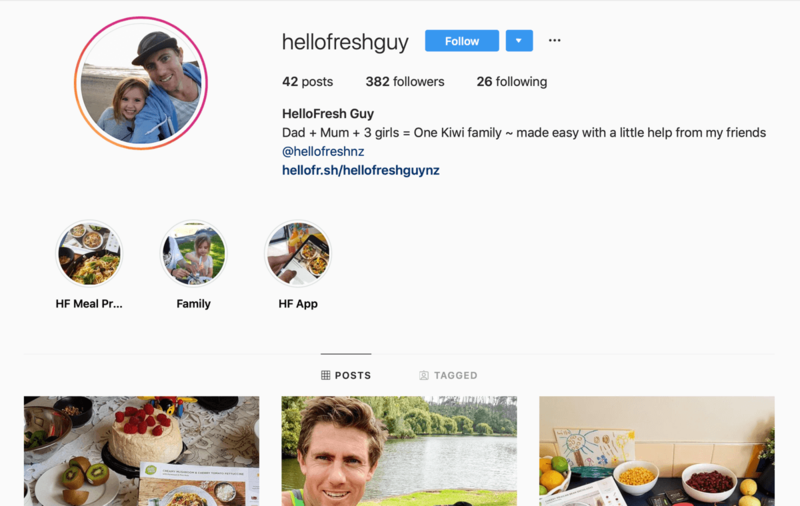 HelloFresh Guy joined Instagram in November 2018, so it might be too early to say whether the experiment succeeded. It’s also worth remembering that the campaign is limited to New Zealand, so global reach isn’t the goal. However, this is certainly a strategy that would take time and some investment to succeed. You don’t have to start completely from scratch. An easier version is to choose customers who already share your brand on social media, but have yet to build up a very large audience. It’s worth remembering that accounts with 10,000–50,000 followers have the highest-quality engagement, a key advantage over accounts with millions of followers. When you choose an influencer from your customer base, you’re choosing someone who already believes in your product, and in influencer marketing, a genuine believer is worth their weight in gold. Up to this point, all of the Ambassadors have been young women studying subjects that require a lot of handwritten lecture notes. So they represent a key Paperchase demographic. Amtrak runs a social media residency program. Although highly competitive with three selection rounds, the travel company is clear that it’s not looking for established or overly popular influencers to join. Just like working with an agency, you’ll need to perform due diligence on the influencers you recruit yourself. That starts with analytics and engagement measurements, but go well beyond that. There is no AI substitute (yet!) for spending some quality time looking through the candidate’s posts, comments, and followers. As well as looking for obvious disqualifications such as offensive comments, think carefully about what you’re seeing. Do these posts match your style? Are you happy with the tone of the post captions, or do you want to discuss a different approach? And most importantly, are these definitely the followers you want to reach? If you choose to contact an influencer on your own initiative, you need to be confident about the value you offer and what you want in exchange. Cautionary tales such as Lashify show how a failed approach can backfire. Similarly, if you put out an audition call for influencers on social media, you risk a very public backlash from disappointed fans who don’t get a callback. In other words, even if you choose to contact influencers directly, you still need to act professionally. Setting up a quick deal in the DMs or comments is too much of a risk. You’ll need to perform due diligence before getting in touch and set clear ground rules for the interaction. If an influencer reaches out to you first, take a close look at the influencer’s online presence before making any commitments. Once you’ve chosen a social network and influencer (or a string of influencers), you need to define the relationship professionally. Back in 2016, only 8% of influencers had signed contracts to work with brands. But if you want to secure your reputation, results, and ROI, a contract is essential. Here are some of the details you need to iron out. First, you need to decide whether this will be a short- or long-term collaboration. This partly depends on the influencer you’re working with. 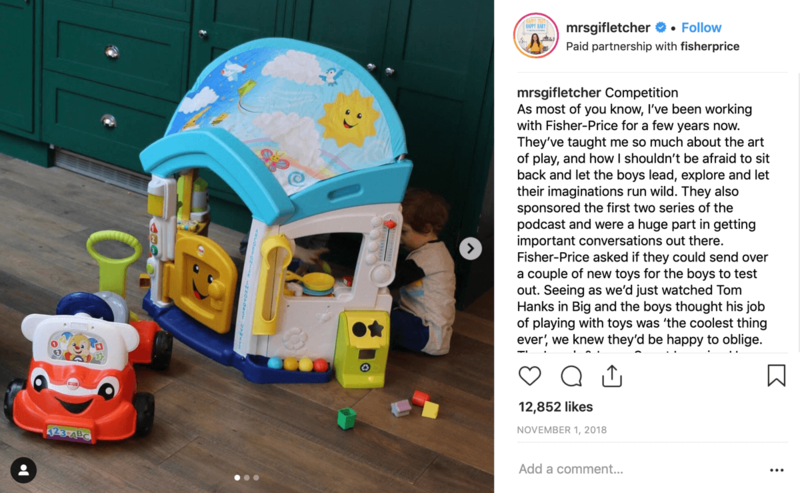 Toy brand Fisher-Price has worked with influencer Giovanna Fletcher for years. As her children grow older, the brand gets to share toys for different ages and interests. Micro- and nano-influencers tend to share one-off sponsorship posts. They have relatively low follower counts but a lot of active engagement, and they’re more affordable than more famous influencers. 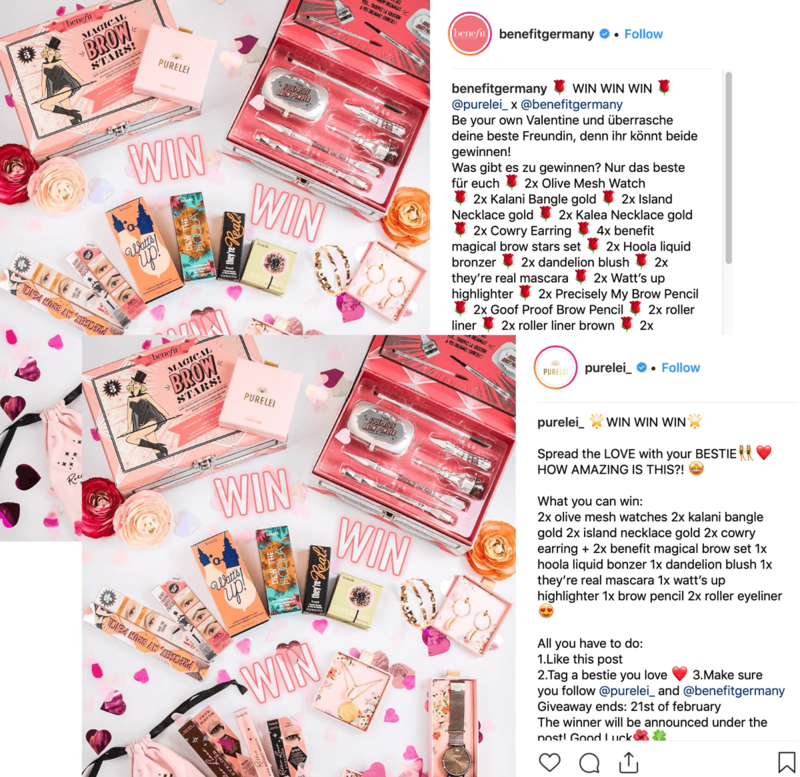 Many brands simply reward micro-influencers with free products. And it’s increasingly common to offer a flat rate for one-off collaborations. The result? 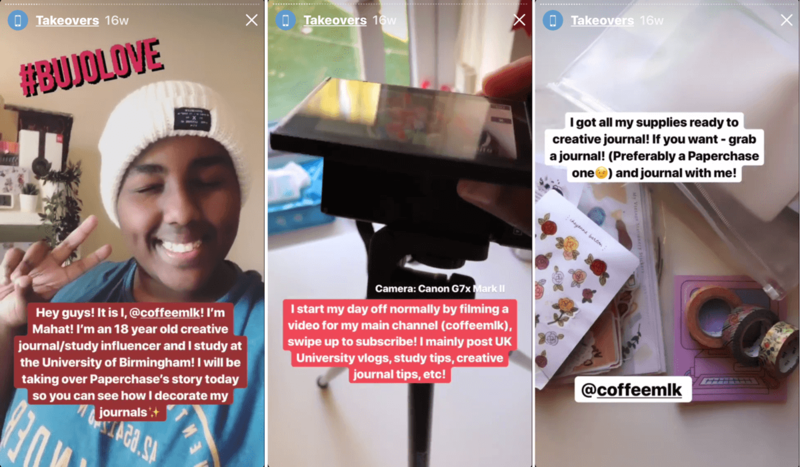 You can recruit a small army of micro-influencers without blowing your budget. 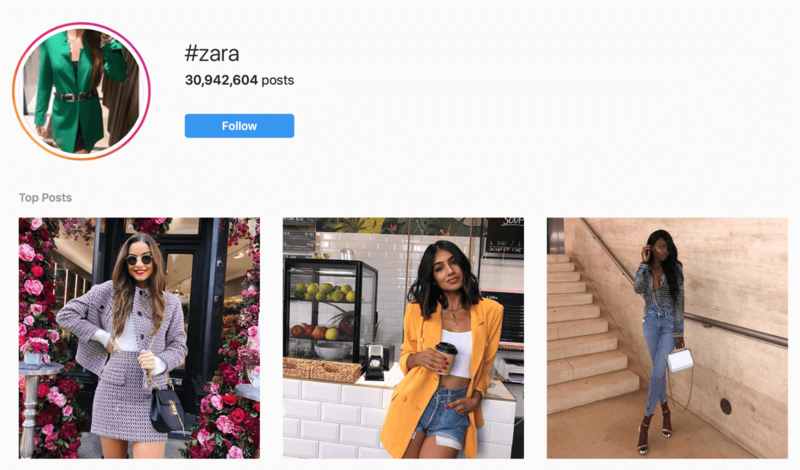 According to research by Influencer DB, fashion brand Zara has been mentioned by over 20,000 influencers but only keeps 677 on its paid roster. Alternatively, you could choose a long-term relationship. Long-term collaborations are usually with influencers who have a much higher profile. While you’ll reach a bigger audience and have more time to develop your marketing message, this option is far more expensive. And in general, you’ll have less editorial control over the specific text or images used in social media posts. Paying a flat rate per post is less common; you’ll need to figure out a detailed contract with the influencer and your legal team. You’ll also need to decide whether you’ll pay influencers based on actions or results. The flat rate fee used for micro-influencers is usually action-based, for instance. The influencer earns so much money per post, story, or affiliate link. But if you agree on a personalized contract with an influencer, you could make payment dependent on a certain number of views, followers, or conversions. But a word of warning here: One consistent problem with social media marketing is that people get bogged down in engagement statistics without understanding their purpose. Before you write a requirement for 10,000 comments into a contract, think about why you might need those comments. Don’t ask influencers to deliver post likes or views that won’t translate into actual ROI. Define what counts as a successful conversion (clicks, views, coupon usage) and measure that. Finally, consider making the relationship exclusive. If you choose an influencer with lots of endorsements, your message risks getting lost in a flood of content. But in an exclusive collaboration, you can share insider content and build trust over time. In addition to defining terms with your influencer, you also need to make sure those terms are within the law. Influencer marketing is legally a form of advertising. Regulators are cracking down on influencers who share sponsored content without making that clear. People have been pretty quick to find loopholes, such as placing products in the background of a post or using cuddly sounding hashtags such as #adgift. These strategies aren’t advisable. Regulators will catch on and your audience will catch on even faster. Precisely because people want to believe and trust influencers, they’ll quickly turn on anyone who doesn’t respect the rules. Few influencers have a professional background in advertising or marketing. So while brands are very conscious of terms and conditions, legal liability, and privacy, many influencers are blithely unaware. When you work with influencers, you should take steps to inform them about legal requirements and continually check in to make sure the rules are followed. Quite frequently, these demands aren’t only against social network rules, but also impossible to enforce. They’re made up out of thin air. So if you’re a professional brand working with an inexperienced influencer, you must continually check that their posts are in line with your own best practices. You should also have a clear definition of liabilities written into your contract. Once you have basic guidelines in place, think about the creative side of the influencer content. Depending on the influencer’s reach, cost, and length of relationship with you, you may choose to draft content or allow the influencer to write their own. In this collaboration between two brands, the same photo and text have been used in each post (albeit translated). Agreeing to content in advance means that your message is clear, but it can appear less authentic. Just as I noted that influencers don’t have to be Instagram lifestyle stars, not all influencer marketing has to be simple product plugs. Think outside the box and offer your audience something different. Behind-the-scenes posts and takeovers are extremely popular with social media followers. These tactics allow you to show a different side to your business and give the influencer more interesting content to discuss than a simple product description. 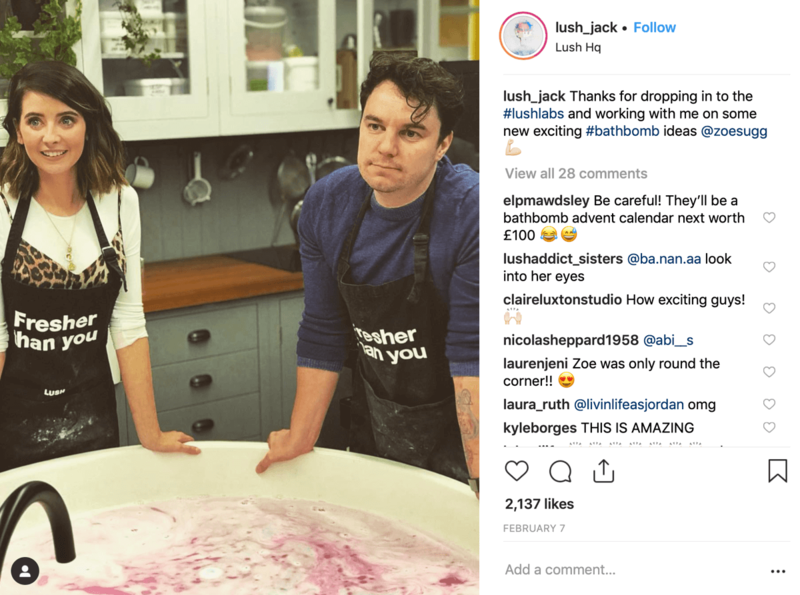 In a recent collaboration, social media star Zoe Sugg went behind the scenes to create new bath bombs with Lush. Remember that the type of content will depend on what you want users to do. What counts as a conversion? If your influencer shares affiliate links, they’ll need to post stories with a swipe-up link, sponsored posts, or a link in the bio. 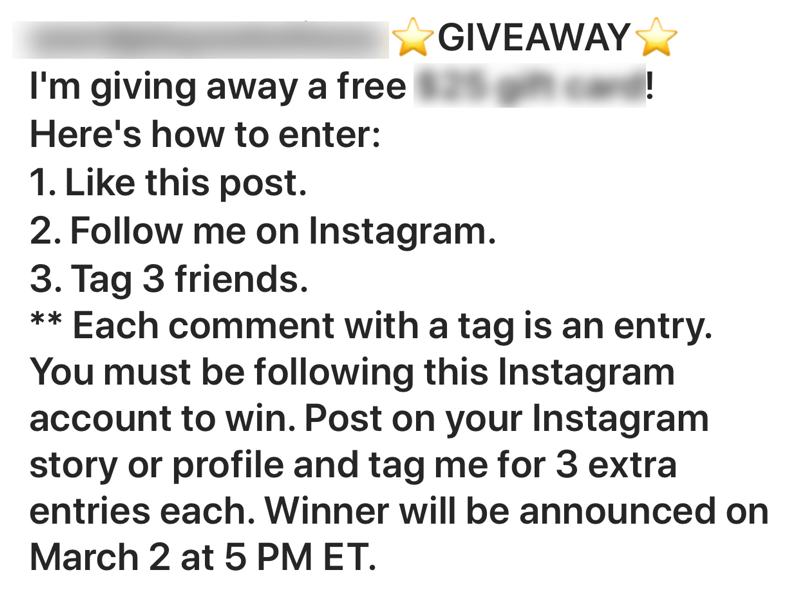 But the influencer can add a personalized promo code to an ordinary post as a text overlay. The brand can use the code to track the source of purchases. Your conversion goals don’t necessarily have to be online, either. If your aim is to bring more foot traffic to your store, you can use influencers to promote a live event. This tactic is especially effective with influencers who already have a large following because meet-and-greets are very popular with fans. Influencers have been hailed as the new, more authentic advertisers for the social media age and marketers are taking notice. In 2018, sponsored posts by influencers on Instagram were up 39% year over year. Like any new innovation, though, influencer marketing is going through some growing pains. While influencers have quickly captured the public’s imagination, they’ve taken on a narrow image as power users on Instagram and YouTube, mostly working with direct-to-consumer lifestyle, health, and beauty brands. What’s more, unscrupulous people soon picked up on the possibilities. With a glossy photo shoot and a few thousand purchased followers, some wannabe influencers have successfully conned brands out of advertising money. Meanwhile, brands face challenges of their own. In a time when businesses are increasingly concerned about brand risk, entrusting your image and advertising to an influencer might seem like unnecessary exposure. And while most brands struggle to measure ROI accurately, casual collaborations with influencers are even harder to manage. Does this mean you should give up on influencer marketing? No, influencer marketing still has great potential. However, it’s time to professionalize your approach. When brands get influencer marketing right, they can make a lot of money. The main takeaway is that influencer marketing takes time. You’ll need to put in the work to find the right channel and influencer. Then you’ll have to invest time and effort in building a relationship, setting expectations, and monitoring progress. But hopefully, you’ve also seen that influencer marketing offers lots of possibilities. There’s creative scope here, whether you choose to try a new social network, deepen the relationship with your customers, or experiment with new types of content and brand events. Above all, make sure you continue to measure, evaluate, and improve your influencer campaigns. It’s time for influencer marketing to professionalize, but that will only happen if brands step up and demand the best. What do you think? Do you use influencers in your campaigns? What details do you include in your influencer contracts? Please share your thoughts in the comments below. Discover how to properly protect your business when participating in influencer campaigns. Learn how to measure the results of your influencer marketing campaigns. Find four tools to manage your influencer relationships. Fed Up with slow businesses growth? Frustrated and steep learning curves to implement Strategies? Need a BluePrint? And people to work alongside? Join the BRR NETWORK of Small Business Owners Focused on Business Growth.